"In the market to buy, sell, rent or invest?" Continually making your transaction a success!! will make that dream come true. listings and links to helpful information. 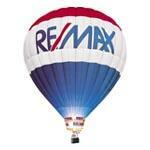 Inducted into the "RE/MAX Hall of Fame - 2006".